In addition to optimal handling characteristics, vehicle manufacturers also expect particularly quiet rolling noise that is subjectively perceived as acceptable by the vehicle occupants. 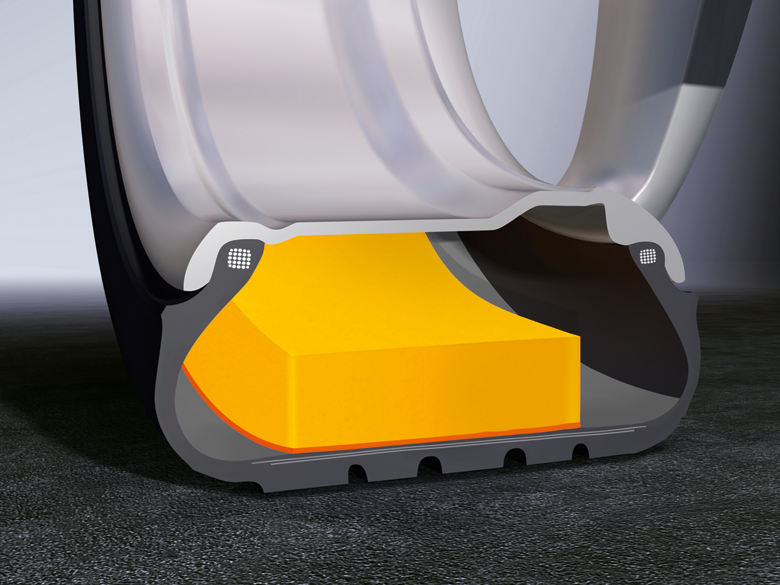 That's why Continental has introduced a new technology that significantly reduces tire rolling noise in the vehicle. This has been made possible by a lining that is applied to the inside of the tire tread, after the actual production process. This special foam layer significantly dampens the airborne vibrations caused by the rolling of the tire, so that on all surfaces, the noise penetrating the vehicle interior is reduced by up to nine decibels – meaning increased comfort for the occupants. Because all other aspects, including the profile, of normal production tires can be transferred, in terms of driving characteristics such as braking, handling, or behavior in wet conditions as well as in the case of the rims and fitting, there is no difference from other tires from the same product family. Audi is the first vehicle manufacturer to equip its RS 6 Avant and RS 7 Sportback models with ContiSilent tires from the ContiSportContact 5 P series. The Audi RS 6 Avant is fitted with size 285/30 ZR 21 and the RS 7 Sportback with size 275/30 ZR 21. Like all other tires for the Audi RS models, the ContiSilent versions also have the RO1 label.